If you are trying to find a healthy balance between productivity and much-needed mental breaks, consider putting some of these tips to use. One of the most significant problems that entrepreneurs face is burnout. After all, when you run your own business, you understandably have a lengthy to-do list that requires your attention on a daily basis. When you are running your business alone, you may feel the stress associated with trying to get everything done on your own without the benefit of support or the ability to delegate. Long hours with seemingly no end in sight for your workload can easily lead to burnout. Successful entrepreneurs seem to find a healthy balance with regards to their work activities and personal lives. Through this balance, they seem to thrive off of the adrenaline associated with running a busy business. You may think that the key to improving productivity is to find a better way to keep your nose to the grindstone all day long, but this is not the case. Truly successful entrepreneurs who derive pleasure from their activities typically learn how to ration their mental energy in an intelligent manner. If you are trying to find a healthy balance between productivity and much-needed mental breaks, consider putting some of these tips to use. When you feel crunched for time, pausing to create a mind map can seem like an unproductive way to spend your limited amount of time. However, when you spend time and energy focusing on a goal or task, you can brainstorm essential ways to properly address the problem or to efficiently tackle the task. Essentially, mind mapping enables you to work more efficiently and intelligently rather than spinning your wheels by trying different things out without any significant amount of forethought or planning. Mind mapping is a way to visualize a problem or challenge. Through visualization, you may be able to more easily see how to accomplish different goals. A smart idea is to use mind mapping when you are planning out your activities for the next day. Rather than simply create a to-do list to charge through, create a mind map that shows how to most effectively complete the tasks in an intelligent, organized manner. Remember that mind mapping can also be used to promote collaboration and engagement in larger office environments. There are even some applications and software programs that pull together ideas and concepts in a collaborative mind map for projects and more. If you have never heard about the Pomodoro Technique, now is a great time to get a crash course in this concept. Some people will look at a huge to-do list and try to power through without stopping. However, this can eventually lead to mental fatigue and a lack of creativity. While you may get a lot of work done at first, your efficiency and motivation will take a nosedive. The Pomodoro Technique is a method that promotes hyper-focusing. Essentially, you break your to-do list up into small, manageable chunks. In between each chunk, you will take a short break to grab a snack, stretch your legs and more. When you return to start on the next chunk of work, you will feel refreshed and better able to focus fully on the next task on your to-do list. While some time will be taken up by numerous short breaks, you may ultimately be more productive because you will work more effectively throughout the entire day. Technology has gotten a bad reputation in some circles because some types of technology can be distracting and waste time. For example, you may find yourself regularly lured away from work activities by personal text messages on your phone or social media posts. However, the right combination of technological applications can help you to boost productivity with incredible results. In order to maximize the benefits of technology while limiting distractions, it is important to identify the areas of your workday or workweek that may be most time-consuming and monotonous. When you regularly complete repetitive tasks, such as sending out the same email response to various contacts or paying the same bills every month, you may be able to save time by automating these tasks. Remember that these tasks may require the use of extra storage space. Online storage and cloud-based computing can be cost-effective solutions. While you want to take advantage of as many helpful apps and tools as possible, avoid overloading yourself. Add one or two tools to your activities at a time. Learn how to properly use them, and implement them into your routine before you add more. You will find that you progressively become more efficient in your activities. Running your own business inevitably requires hard work and a considerable amount of time and energy. When you spend all of your time focused on work activities and never take time for yourself, you can easily get burnt out. 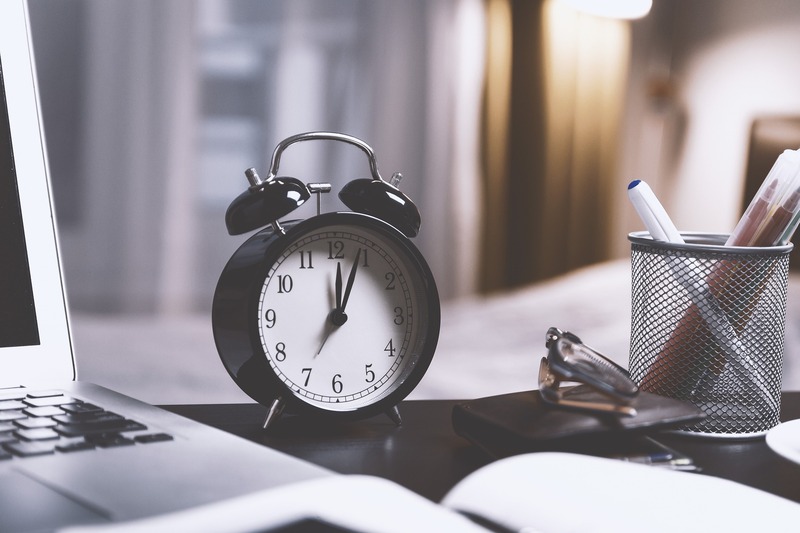 Use these important tips to find free time in your week without sacrificing the quality or amount of work that you get done. Use this free time to focus on yourself. For some people, the free time may equate to short periods of time, such as five to ten minutes here and there. This micro-break is a great time to focus on mindfulness, do some stretches for fitness and more. When you get back to work, you can feel refreshed, ready to focus on the task at hand and eager to work with purpose.